It was almost confirmed that Nokia smartphones are arriving in India soon i.e Nokia 3, 5 and 6 in India soon right after they launched the Nokia 3310. 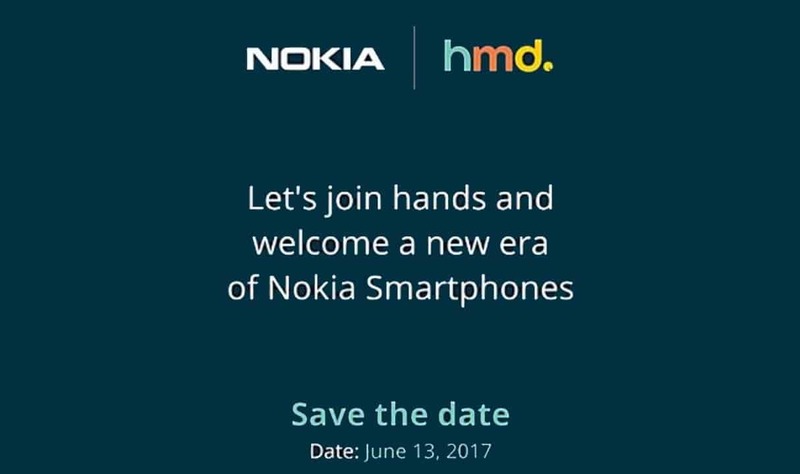 Nokia also sent an invite to press and media to save the date which is June 13th. A launch event will be held on the same date, and now, it is almost confirmed that the event is all about Nokia smartphones. 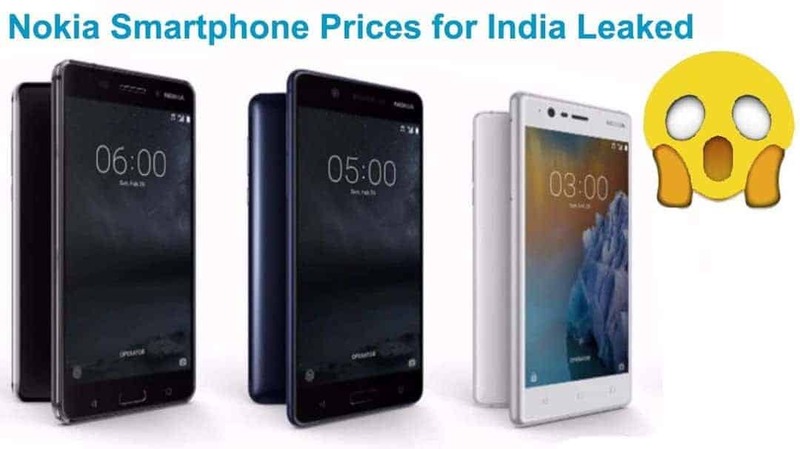 Now a site Best Phones Under or BSU, which provides suggestions to users to help them decide which smartphone they should buy according to their requirement and budget, has claimed that they have got the pricing details for all the Nokia smartphones that will be launched in India soon. Here is the price chart. Nokia 6 is the best one among Nokia smartphones that are available right now. It has a 5.5-inch full-HD screen with 2.5D design and Corning Gorilla Glass protection. It also comes with a fingerprint sensor. It runs Android 7.0 Nougat out of the box and is powered by Snapdragon 430 SoC, coupled with 3GB RAM and 32GB internal storage. It packs a 3000mAh battery. In terms of optics, the Nokia 6 comes with a 16-megapixel rear camera and an 8-megapixel front camera. It will cost Rs. 15,999. Nokia 5 packs the same processor, but with 2GB of RAM and 16GB of storage, and a smaller 5.2-inch display. It sports a 13-megapixel camera and 8-megapixel front facing camera. Other features of the smartphone include Micro-USB 2.0, NFC, 3000mAh battery, and 4G LTE support. It will be priced at Rs. 12,999. Nokia 3 doesn’t have a fingerprint scanner, it has a small 5-inch display, 16GB internal storage, and 8-megapixel rear camera. It is being expected to be priced below R%s. 10,000. Now, these prices come from a site as we have mentioned. However, we are not sure whether it will be the final price for Nokia smartphone or not. We will confirm it only on the date of the launch, i.e June 13th. Be sure to join us on Facebook so that you don’t miss these updates.